The budget market seems to be helping Nokia's new overlords in the smartphone wars. Microsoft has told TechRadar that it's seeing real penetration for its Windows Phone platform, claiming some impressive stats for its OS. Christopher Flores, director of communications for Microsoft, told us that the brand was attacking 'both ends' of the smartphone market and would continue to do so should, as expected, the deal to purchase Nokia go through. He showed statistics claiming that Windows Phone devices now have second place in 14 markets around the world, and are outselling Apple's iPhone in 24 markets too, making it the fastest selling smartphone platform globally. Flores declined to give specific regions for these stats, although did intimate that they were in emerging nations, where the cost of the iPhone is prohibitively high for a lot of consumers. It's also got a strong movement in Italy, where Windows Phone-powered devices are outselling iPhones, with heavy carrier subsidies making the Microsoft platform an attractive proposition, a situation mirrored in Spain where WP handsets are close to usurping Apple's second place in that market too. However, Android's stranglehold in these areas remains untouched, despite the growth of Windows Phone, with handsets undercutting the cheap Lumia 520 providing stiff competition. 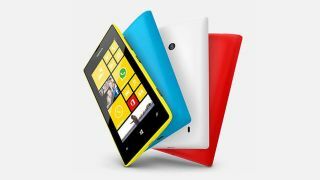 Flores also refused to admit that Microsoft would channel more time and funds into the budget handset range, despite this being the firm's main growth driver for Windows Phone, stating that the Redmond brand wanted to continue to offer consumer choice. Microsoft has promised to elaborate on these statistics in the near future, so we'll be updating this story with more information as we get it.